Cuddles of Luv . . .: Happy 4th of July! 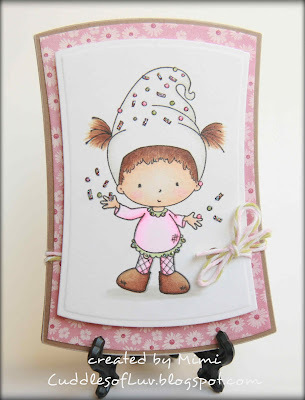 Sprinkle Beatrice here is part of the new July release of C.C. Designs, and will be available at the ATS store on Thursday, July 5th! That's tomorrow!!! I finally took out my Spellbinders Reverse Wonky Rectangle diecuts to use. I had to have them because my blogging friend, Donna, make such adorable cards with this shape. Decided not to include any sentiments just yet, because Beatrice here can be used for any celebration! Please join us at ATS for this easy fun challenge, which runs for two weeks! Hop a visit here to see all the wonderful inspiration from the team, and see the details to enter. Click here to see more of the new July releases from C.C. Designs! Have a safe and wonderful July 4th!! she's so cute! great card! Oh I like the funky shape you have made here for your card. Lovely image with just a hint of colour. 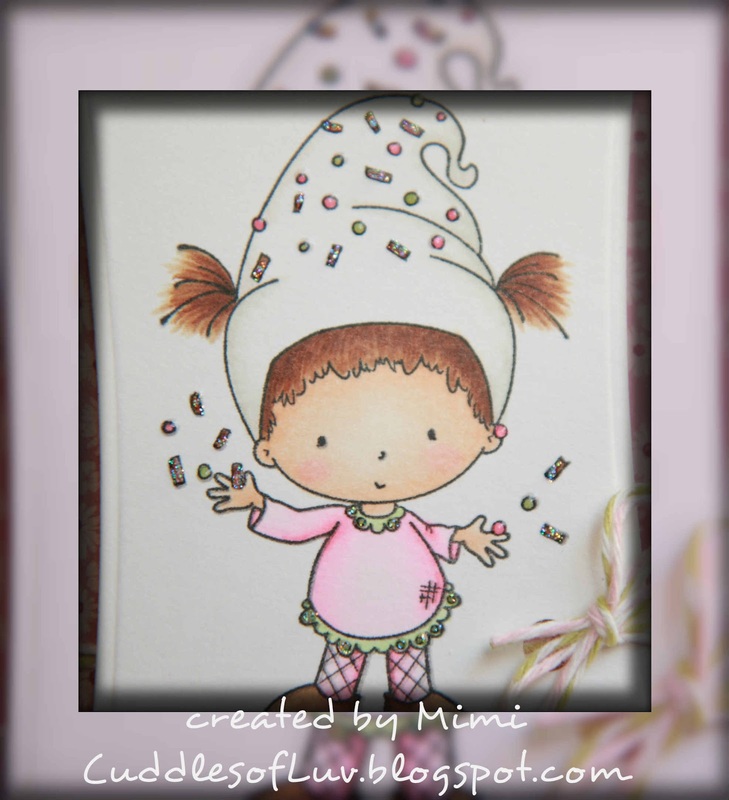 Thanks for sharing this lovely card in our challenge. Super sweet! I love her esp. with the ice cream! Hope you had a great holiday! Hope you had a wonderful 4th Mimi!! I loved reading all your comments. Thanks for the love! 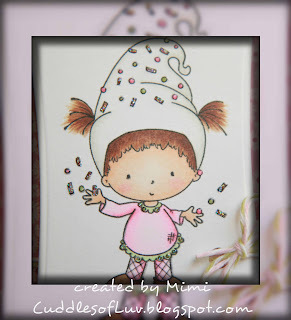 Aaawwww Mimi, this card is so cute and sweet! She's a cutie and so beautifully colored. I like this Reverse Wonky shape...guess I have to get this...I only have the Wonky! what a wonderful card you made! this is such a cutie! love the colors and gotta love those reverse wonky rectangles! cute and sweet! hope you had a wonderful 4th of July! have a great week!